We design and build a new Website and produce a crowdfunding video. We were approached by Lincoln from Smart Grid limited. Who also runs a number of other successful company’s in the power and energy sector. He asked us to help him launch a new company. Smart Grid is a new business helping to improve the UK’s energy market with a revolutionary new product called SmartBox. Smart Grid is working with energy giants such as Tesla and the National Grid. Everything we produced for them had to be of the highest quality. 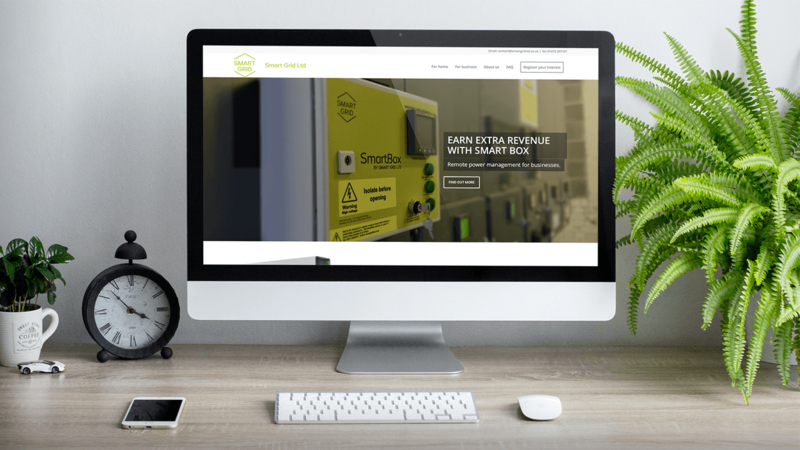 The goal was relatively simple, to create and build a new Website for Smart Grid along with a promotional video that can be used to explain the products and services on their crowdfunding campaign currently running on Crowdcube. We have also spend some time consulting on marketing and business development with the team at Smart Grid. Helping to create and execute an effective digital strategy for marketing their new business. The website needed to be fast and easy to use with a lead management system so people can register their interest and Smart Grids team can follow up. We create a lead management tool that was built into the website so once an enquiry had been followed up it could be updated and other members of the Smart Grid team could see it. We also produced a price calculate allowing people to interact with the website. & view the full website.